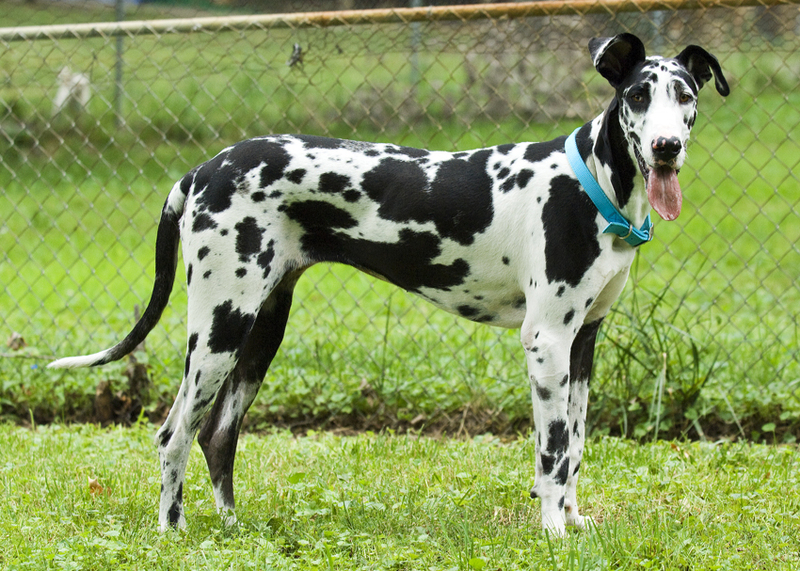 Recognized by the AKC in 1887 and being acknowledged as its 14th most popular breed, the Great Dane has a long history spanning for over 400 years, though mention of similar looking breeds have been made much earlier. Egyptian monuments dating back to 3000 B.C, as well as artifacts in the Babylonian temples built in around 3000 B.C portray mighty boar hounds that have a close semblance to the Great Danes. The Assyrians, known to have traded their dogs to Greek and Rome, were even depicted in the drawings, walking with canines that looked as massive as the Dane. The cycle continued as the Greeks and Romans further went on to cross them with British dogs that they also acquired. 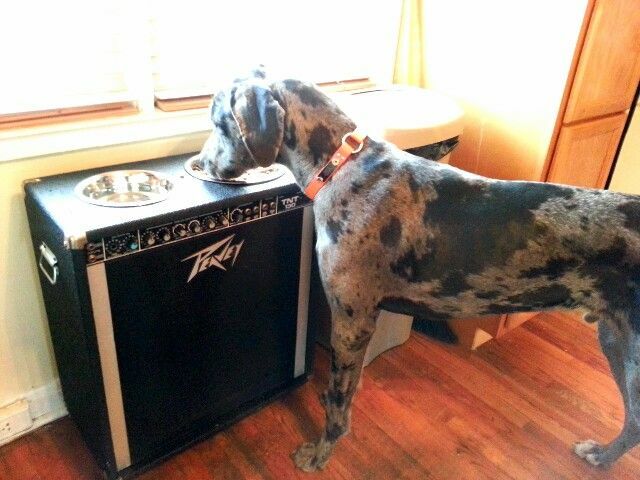 Perhaps, this is why the English Mastiff’s ancestors are said to be instrumental in the Great Dane’s development. There are other theories too regarding the Great Dane’s origin, as some zoologists are of the view that the Gentle Giant originated in the Tibetan Highlands since the dogs brought by the Assyrians were similar to the Tibetan Mastiffs dwelling in the Himalayas. This notion of theirs is validated further since Dane-like breeds are mentioned of in Chinese literature OF 1121 B.C. By the 16th century the Dane-like dogs, came to be called as the English Dogge, exclusively used in most European countries for hunting boars, where they had to hold on to the prey until it was finally killed by the huntsman. In the 17th century, after these boar hounds were imported by Germany, their status underwent a change as from mere hunting dogs, they transitioned to Chamber dogs (Kammerhunde), kept in the courts of the German nobleman, assigned the role of protecting princesses from any intruder when they slept. Besides getting royally treatment, they were regally dressed, wearing gilded collars with velvet pads. However, post the 18th century, Germany had its own breeding stock, requiring no imports further. The role of the Italian Wolfhound in its origin is also a matter of debate. Comte de Buffon, a French naturalist, on his visit to Denmark, found some slimmer versions of the boarhound present there to be just as the Greyhound. He even mentioned that the big dogs were transported by the Celtics to Ireland where they were bred with the Wolfhounds. 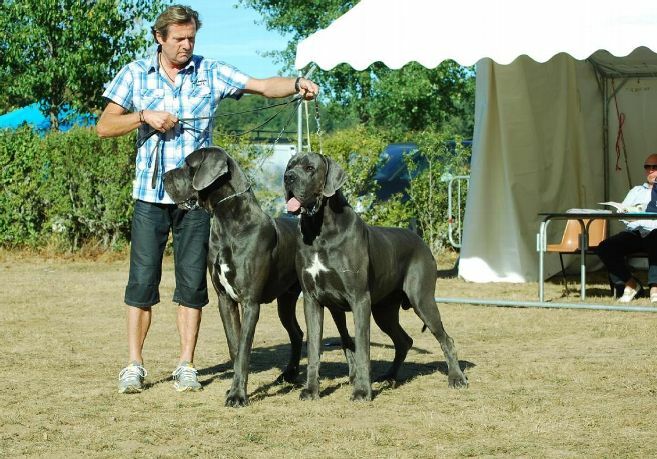 Hence, he went on to name them as Great Danois with the heavier ones being called as Danish Mastiffs. Though Denmark had no major role in its development, besides housing these boar hounds, the name however remained. 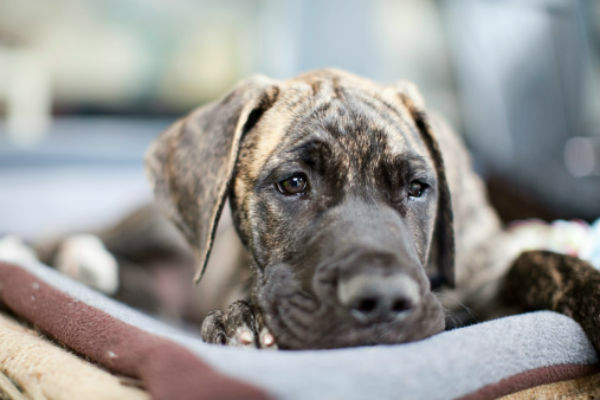 There has been a lot of discrepancy regarding its name in the 19th century, since German breeders insisted in calling it German Dogge or German Mastiff, as they felt that they should be marketed as luxury dogs and not working breeds. However, at present it is known by the name Great Dane in all English speaking countries. The Great Dane of today is poles apart to what it was in the past. The fierce, fearless dog of the yesteryears seems to have mellowed down in the present time to a big dog with a calm mind.